For years Blues scholars and musicians have been intrigued by one of Robert Johnson’s lyrics in his most covered tune, “I Believe I’ll Dust My Broom”. In the song, Johnson comes home to find his woman has been seeing someone else. The premise of the song is that he will “get up in the morning” and “dust” his broom–an expression meaning that he’s going to be hitting the road. And he goes all around the northern Delta region looking for an old girlfriend to take him in, someone who will treat him fairly and care for him: justice and love. If you listen to Delta Blues, these place references are a bit like being kicked in the head by a mule. Chinese labor had been imported to the Delta, along with Italians and a number of other nationalities, in an attempt to solve the labor ‘problems’, but none of them would tolerate the working conditions and social treatment any better than African Americans. But still, for the place where Johnson would find a trusting just love in the climax verse of the song to be possibly China or the Philippines, but certainly Ethiopia, is downright odd. But Ethiopia had been in the news reels. Tafari Makonnen, the prince of Ethiopia, had talked Ethiopia into the League of Nations between the World Wars. It was the first Black-headed state to be admitted, and he did it with a high-flown rhetoric about the universal rights of men, or responsibility to care for the poor and oppressed people of the world, and how we should have a love for our brothers and sisters that transcends, and does not stop at national boundaries. Good stuff. 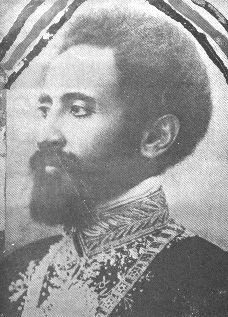 In the early 1930’s, Tafari’s mother dies and he is crowned Emperor and given a new name, Haile Selassie, (and divinity–all the emperors of Ethiopia claimed lineage all the way back to Solomon). New reel footage of the coronation was shown all over the world, carefully orchestrated by Selassie, who—like any good Republican or Democratic convention city—nearly bankrupted the country to put a palm tree on every corner of the capital so it would look more impressive to the world and visiting dignitaries. In 1935, just months before Johnson sits down to record this verse about finding truth and just treatment in love surely in Ethiopia, if nowhere else; Haile Selassie is driven out of Ethiopia by the Fascists under Mussolini in the opening gambit of what was going to become the second World War. The profound silence that met this invasion encouraged Hitler and the Nazis in Germany, of course. The kicker is that the Ethiopian term for ‘prince’ is ‘Ras’. Before his coronation as Emperor, Selassie was “Ras Tafari”. Any reggae fans out there?